"My wandering foot gets to itching." That's Charles Ingalls — "Pa" to millions of readers — confessing his wanderlust in Laura Ingalls Wilder's "These Happy Golden Years." The Ingalls family's adventures across the Midwest are among the best-known journeys in American history, right up there with the Oregon Trial and Lewis and Clark. Wilder made her family's travels famous in the "Little House on the Prairie" series, which has sold more than 41 million copies since the first book was published in 1932. In the last half of the 19th century, the Ingalls family moved from state to state, and territory to territory, in search of better farmland, better opportunities — and because Charles Ingalls had an itchy foot. In 1995, Minnesota and surrounding states designated U.S. Route 14 as the Laura Ingalls Wilder Historic Highway, to mark the family's path. On a map, it seems like a simple journey — almost a straight shot from Pepin, Wis. to De Smet, S.D. : 300 miles and change. But the highway markers only tell a piece of the story. In all, the family trekked more than 2,000 miles, most of it by horse-drawn covered wagon, reaching as far south as Independence, Kan., just shy of the Oklahoma border. They doubled back, moved again, and kept heading west. Only some of their starts and stops made it into the books. By the time the family finally settled in De Smet, Wilder herself still had miles to go. She and her husband Almanzo ultimately landed on Rocky Ridge Farm in Mansfield, Mo., where she put pen to paper and introduced the world to the Ingalls family. For readers with their own itchy wandering feet, many of the places Wilder immortalized are open to visitors — you can put your feet in Plum Creek or look up at the very cottonwoods that Pa planted. Where time has torn things down, replicas have been built — and there are enough bonnets and big woods to go around. What's better for a long road trip than an audio book? Consider listening to Wilder's stories while you drive. It all begins in Wisconsin. Visitors to Pepin now will find that modern farms have tamed the wilderness: The big woods are gone, as is the original little house. But a replica log cabin, dubbed The Little House Wayside, stands on the land once owned by Charles and Caroline Ingalls. In town, almost 12,000 visitors a year stream through the Laura Ingalls Wilder Museum, which is packed with artifacts and photographs from Pepin's pioneer days. Every September, the town plays host to Laura Ingalls Wilder Days, complete with a fiddle contest, square dancing, a pancake breakfast, a parade — and a 5k run I don't remember from the books. This year's celebration falls on Sept. 12 and 13. • If you go: The museum is open seasonally, from May 15 to Oct. 15. So what dragged the Ingalls family away from Wisconsin? The promise of 160 acres for just $18. The Homestead Act of 1862 brought hundreds of other families on a similar journey. 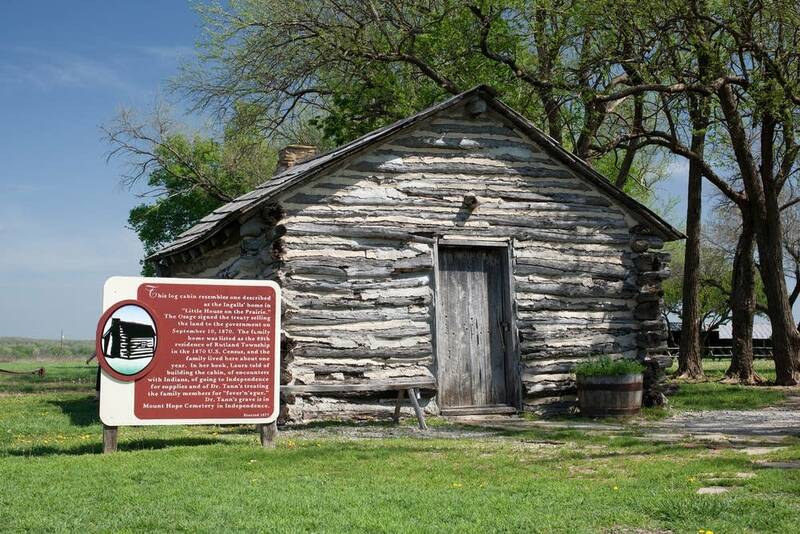 In 1869, the Ingalls built a cabin 12 miles southwest of Independence, on land that technically still belonged to the Osage Indian Reservation. It was not open to settlers, but many built their homes there anyway. When rumors came down that U.S. soldiers were going to sweep illegal homesteaders off the land, Charles decided it was time to leave Kansas behind. The family's one-room log cabin is no longer standing, but there is a replica in its place. It's part of the Little House on the Prairie Museum. The well that Charles Ingalls dug by hand is also on the site, as is a historic post office and one-room schoolhouse, though both were built after the Ingalls' departure. • If you go: The museum is open from May 1 to Oct. 31. 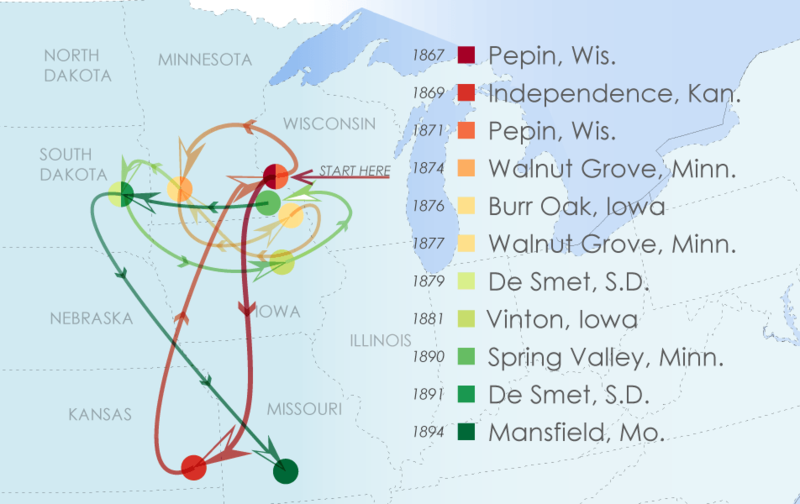 After soaking up a little more Wisconsin air — and losing their wheat crop — repeatedly — the Ingalls moved to Walnut Grove in 1874. Walnut Grove is the setting for the "Little House on the Prairie" television series, which aired from 1974 to 1983. Thanks to the show, this is the place most closely associated with Wilder's stories — but don't look too hard for landmarks; the show was filmed in California. The family's first home in Minnesota was a dugout, built right "On the Banks of Plum Creek." The walls, the floor, the roof — they were all dirt. That house has been lost, and all that remains of the dugout is a deep depression along the creek. That depression would have remained an unmarked, unremarkable dent if not for Garth Williams, an illustrator for "The Little House" series. In 1947, Williams traced the Ingalls family's path to the sod house site on Plum Creek, which by then was owned by a family oblivious to its historical significance. After hearing the story, the family erected a marker and opened the site to visitors. 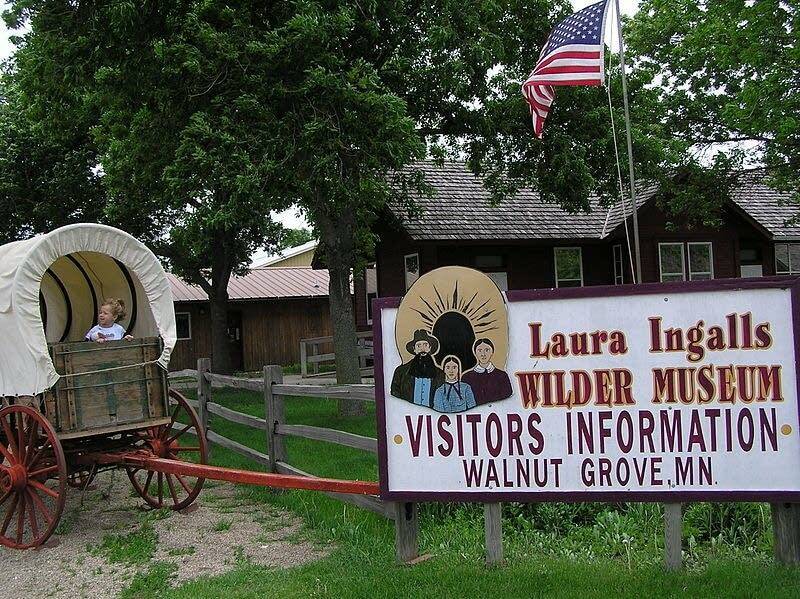 A mile and half south of the dugout is Walnut Grove's Laura Ingalls Wilder Museum. It includes a replica of the dugout, a covered wagon display, memorabilia from the television show and an astounding collection of dolls. • If you go: The museum is open from April to October. If you're looking for an on-theme snack for this portion of the trip, consider chocolate-covered grasshoppers. The Ingalls thought Minnesota would bring a bountiful harvest, but a grasshopper plague destroyed crops for two years in a row. And if you're looking for something to listen to in the car, download the MPR feature, "Little War on the Prairie." Wilder touches on settlers' tense relations with Native Americans in her books, but in Walnut Grove she was living just 80 miles from the site of the largest mass execution in U.S. history. The government executed 38 members of the Dakota tribe in Mankato, Minn., shortly before Wilder was born — this feature digs into that history. The Ingalls bid a temporary goodbye to Plum Creek and Walnut Grove in 1876, so that Charles could help family friends manage the Masters Hotel in Burr Oak. Burr Oak is a lost year in Wilder's series — there is no "Little Hotel on the Prairie" book. When the hotel management situation went south, the family moved around town. They first landed in an apartment next to a saloon — too unsavory for Charles' tastes. He moved his family to a small brick house just outside of town instead. By 1878, it was back to Walnut Grove. If you make the trek to Iowa, you'll find the Laura Ingalls Wilder Park and Museum, housed in the restored Masters Hotel. It's filled with the possessions of people who once lived in the hotel, including many who interacted with the Ingalls. • If you go: The museum is open through mid-October. Back in Walnut Grove, Charles Ingalls got a case of that wandering foot once again. When his sister, Docia, offered him a job on the railroad in the Dakota Territory, it was the perfect opportunity keep moving west. His wife, Caroline, agreed, under one condition: This would be the last move. So in 1879, Charles took the job as a timekeeper for the railroad, and his family followed — it was the Ingalls children's first time on a train. They spent a lonely winter in the railroad surveyor's house before Charles built the first-ever home in the newly formed town of De Smet, "By the Shores of Silver Lake." De Smet fully embraces its place in Wilder's stories. It's where five of her books unfold, from "Silver Lake" to "The First Four Years." You can visit the Ingalls Homestead, a living history farm where children can experience a slice of 1880s life. Activities include twisting hay, lessons in a one-room schoolhouse and even driving a covered wagon. 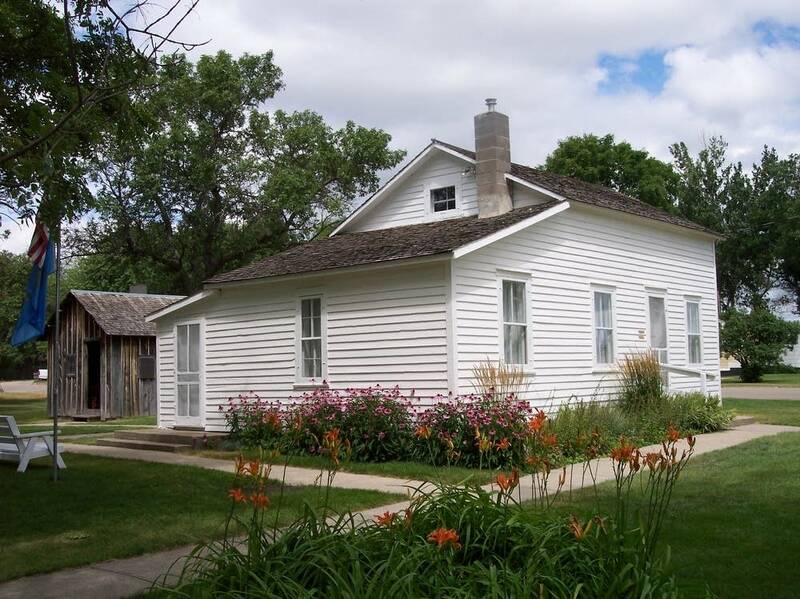 You can also tour the Laura Ingalls Wilder Historic Homes and Discovery Center. The tour includes the surveyor's house, the schoolhouse and the Ingalls house in town — the last home of Charles, Caroline and Mary. The homes are maintained by the Laura Ingalls Wilder Memorial Society, which has the largest collection of Ingalls artifacts, and organizes seasonal displays of the items. Outside of town, the original cottonwood trees that Charles planted for his family still stand by Silver Lake. Visitors often wander through the town cemetery to see the graves of Ma, Pa, Mary, Carrie, Grace and Laura and Almanzo's infant son. • If you go: The Ingalls Homestead is open from April to October, with shortened hours in the fall. 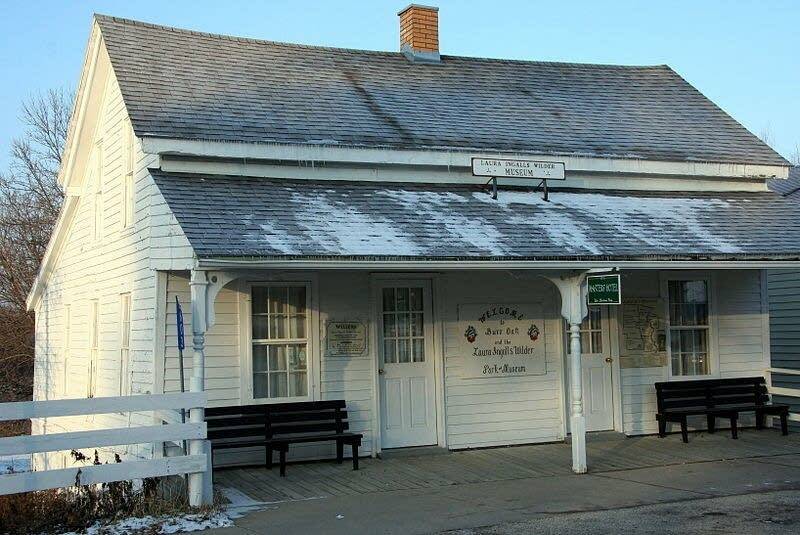 The Laura Ingalls Wilder Historic Homes and Discovery Center is open year-round. 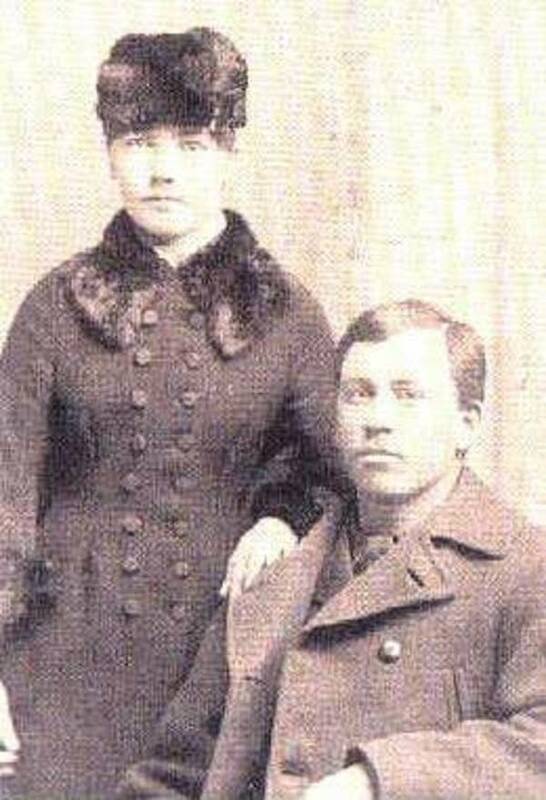 In De Smet, Laura and Almanzo fell in love, married and started a family. But after a string of tragedies, including the death of their son, a ruined crop and a house fire, the young couple moved in with Almanzo's family in Spring Valley, Minn., from 1890 to 1891. Today, the Spring Valley Methodist Church serves as a museum, where visitors can see records and letters related to Laura and her in-laws, the Wilders. It also contains other antiques and curiosities from the town's history. • If you go: The museum is open daily through the summer, and on weekends in September and October. While recuperating in Spring Valley, Laura and Almanzo pondered their next move. In 1891, they took a trip to northwestern Florida, thinking perhaps the change of climate would do them well. They quickly decided that had been a mistake. It was back to the Midwest — first to De Smet, and then south to Mansfield. They purchased Rocky Ridge Farm in 1894 and settled down, for good. Laura did not inherit her father's itchy feet. Years later, at the Rocky Ridge farmhouse, Wilder began to compose her memoirs. At her daughter's urging, she turned her family stories into the children's books millions of readers know today. 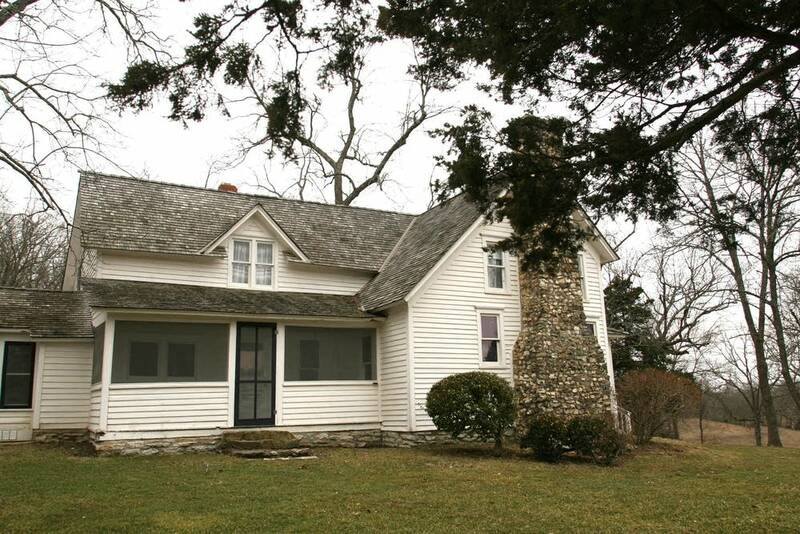 Today, the farmhouse is part of Laura Ingalls Wilder Historic Home and Museum. 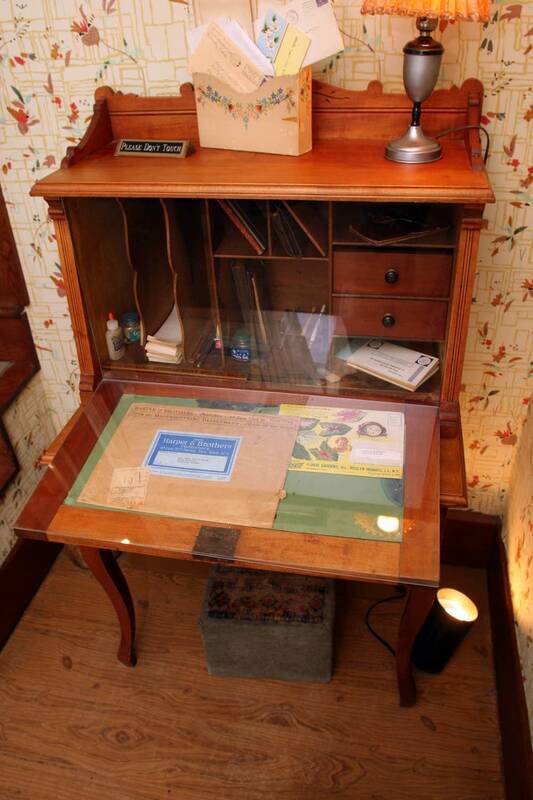 Visitors can tour the home and see the very writing desk where Laura worked. The museum also includes Pa's fiddle, Mary's Braille slate and other family keepsakes. Part of the museum is devoted to Laura's daughter, Rose Wilder Lane, who was a successful writer in her own right — even if her name has faded in history. A few minutes' drive from the historic farm house are the graves of Almanzo, Laura and Rose. Laura, who didn't publish her first book until she was 65, died in Mansfield in 1957 at the age of 90 — 700 miles from the "Little House in the Big Woods." • If you go: The museum is open from March 1 to Nov. 15. Join the conversation. 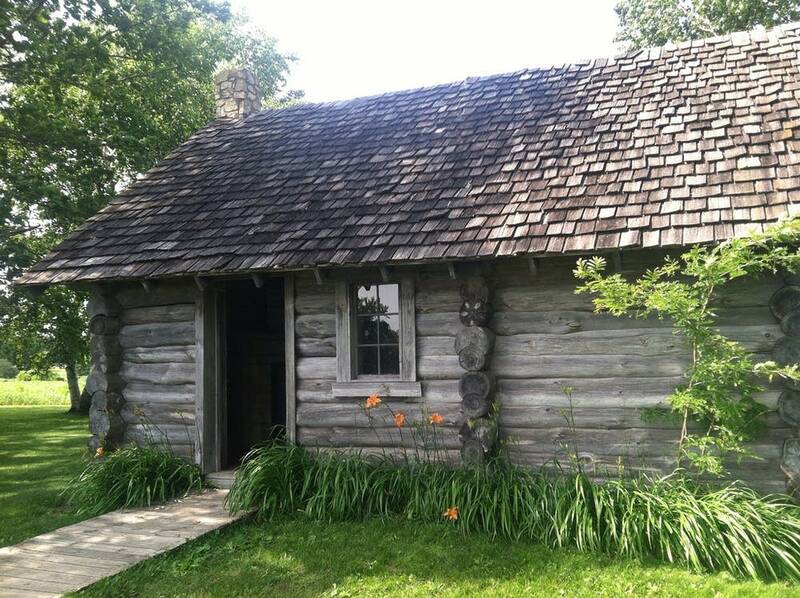 What's your favorite Laura Ingalls Wilder site? Do you have a favorite moment in the books? Share it below or tell us on Twitter @thethreadmpr.